﻿The only book of its kind to have ever been written. What is the “Game” and how do you learn to play? Take a journey through the hidden knowledge and wisdom that many consider priceless. The Game is an anomaly; it is often spoken about but never defined. It has been that way for centuries, and for a good reason. I talk a lot about the Game and I realize that the majority of visitors to my website and blog have no idea what I’m talking about. It’s time to change that. 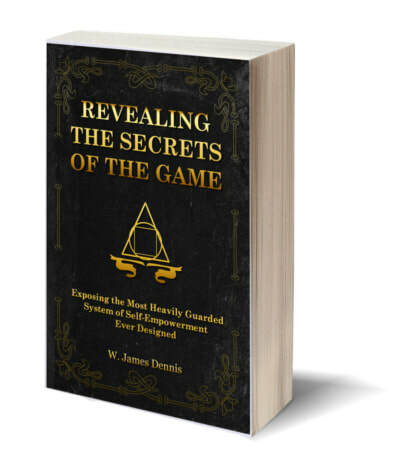 This is what I call the, “Little Black Book.” This book breaks down in detail what the Game is, how it works and how you can use it to improve every area of your life. To be honest, this book may not be for you and I was very hesitant on releasing it - But the release of this book is necessary. If it's your "time" for this book, you will know it. This information will change your life, just like it changed mine. Just one honest and open-minded reading from cover to cover, will have you looking at yourself and life like never before! Interesting. Valuable information for strong minds! If you don't want to improve your life, this book is not for you. This book was well written, simple, full of good info that anyone can understand. If you learned nothing from this book you were purposely trying to miss the point. Excellent book!!! I would highly recommend this book!! Good for reading a nice get right to the point self empowerment book love the definitions and word play great!! Great read. Breaks down the game whether your a rookie or a vet. You should give this book a read. Definitely a different perspective on game. Game is life and the sooner that is realized, the better.